Ed and I hiked Marshall Gulch over a week ago. This week his brother, Bob, joined us, and we hiked it again. And what a treat it was! 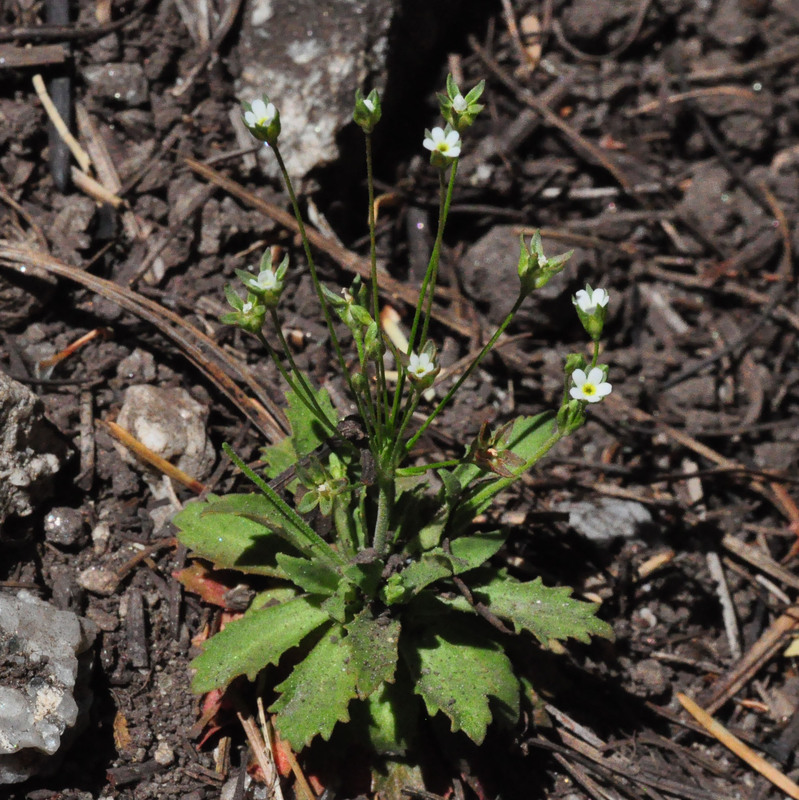 We were able to notice new flower species in bloom, such as Fendler hawkweed (Hieracium fendleri), and Rock jasmine (Androsace septentrionalis) a tiny white flower. On the trail we met a young man with a serious back pack. 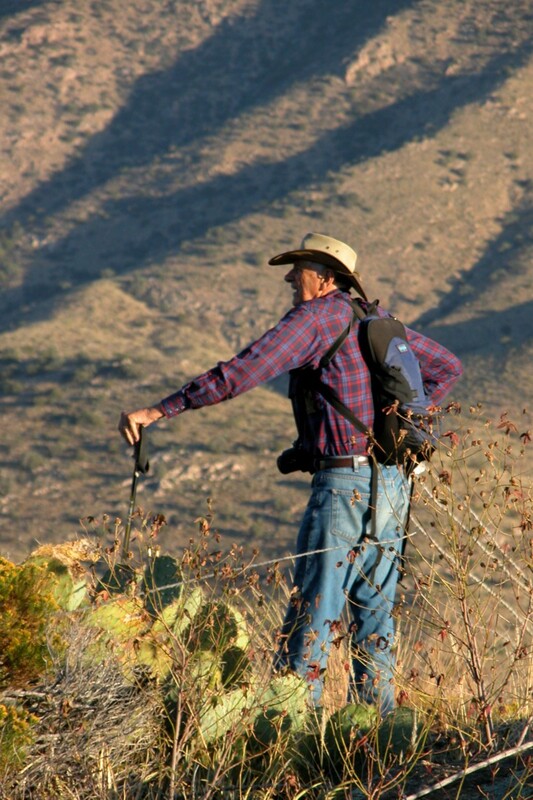 He stopped to chat with us, but how he had time, I do not know, since, if I heard him correctly, he was hiking the Arizona Trail (about 800 miles long from Mexico to Utah), and had gone from the start of the trail at the Mexican Border, to the Catalina mountains in four or five days. That is a distance of about 185 miles. I confess to feeling a little nostalgic. The trail beckons to me, but I certainly could not stand his pace (about 40 miles a day.) Wow! 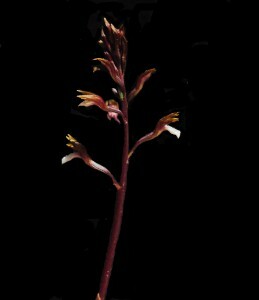 We were happy to show Bob the Spring coral root (Corallorhiza wisteriana). This time I was able to get a fairly good photograph. 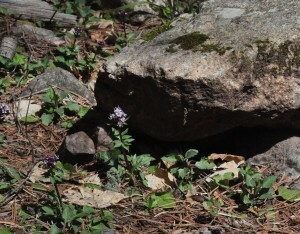 This is the earliest of the mountain orchids. I also saw the mostly bare branches of Poison ivy (Toxicodendron radicans), with last year’s fruit still on. I wonder why no one has eaten them. Hmm. 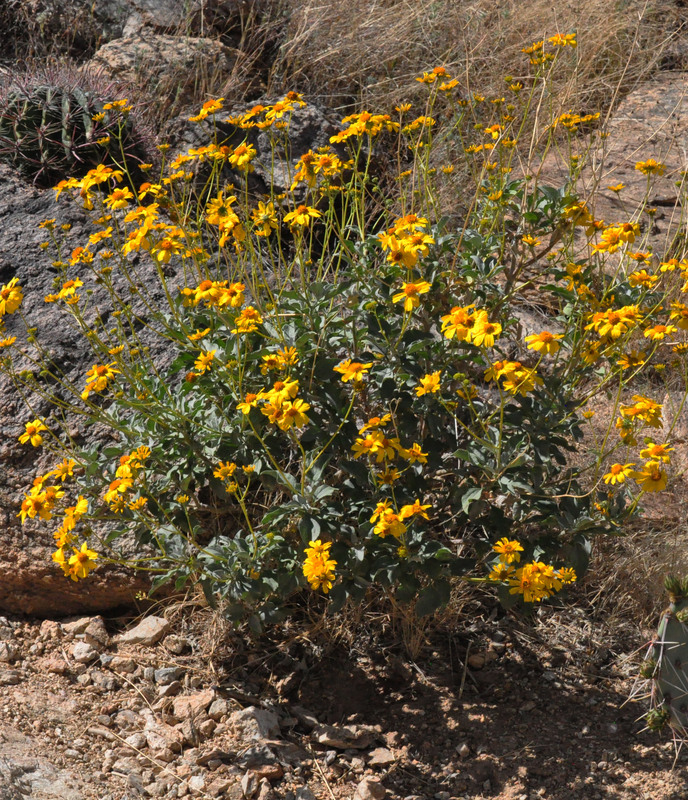 On our little piece of land in Tucson we like to let nature do the planting. Most of the flowers and shrubs on the property just showed up on their own. They call them “volunteers”. 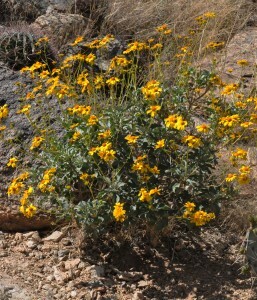 This includes the Brittlebush (Encelia farinosa), a perennial shrub that has masses of beautiful yellow flowers. At the back of our property there is a fence, and over the fence a piece of land sloping down to the alley. Most years I ignore this, and it just becomes a wilderness of weeds. A few years ago I got the bright idea of planting Brittlebush in the alley. It can grow quite large, and effectively eliminates weeds. So I transplanted a few seedlings that had “volunteered” in the front of our house. They did not take. A year later I tried again. Again they did not take. This year I adopted a new plan. They have just finished blooming, so I harvested the seeds from the many brittlebush plants on the property. I put them in a plastic bag and waited for rain. The forecast said there was a 20%chance of rain today, so I cleared the slope, scattered the seeds and raked them in. We will see if any of them germinate. My wife thinks I may have overdone it this time. Who needs a million brittlebush plants in their back yard? 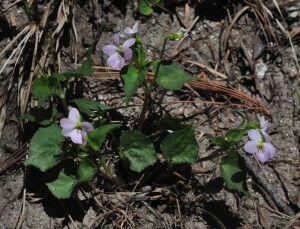 We were interested to see two species of Violets. 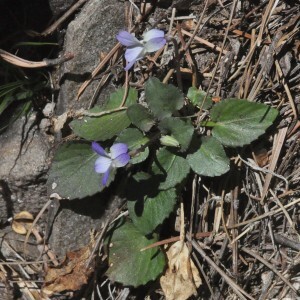 the blue violet (Viola umbraticola) is seen mostly in the spring. The Canadian violet (Viola canadensis) can have a blue or pink tinge in the spring time but is mostly pure white in the summer and fall. It has seemed to me that the spring flowers are larger and have more color than the ones that decorate the forest floor in summer. Indeed, it is hard to tell them apart in the spring. 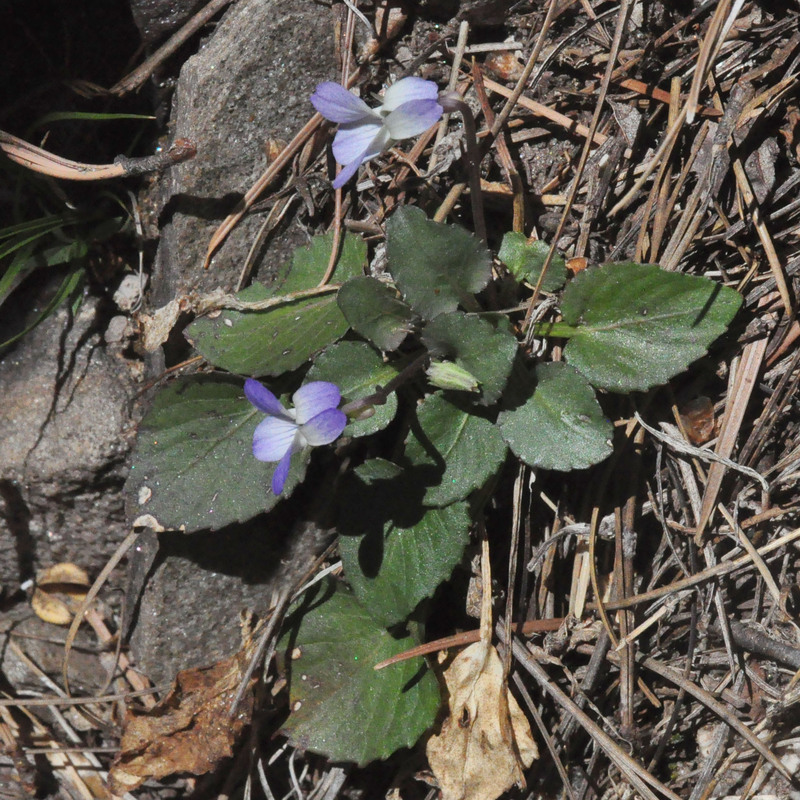 The main difference, I believe, is that with the blue violet, the flower stems come right out of the ground, whereas with the Canadian violet, the flower stems branch off of leaf stems. We heard lots of birds, and had a wonderful time catching glimpses of the deservedly famous red-faced Warbler (Cardellina rubrifrons). They flew around us, alighting briefly on different branches. We also saw a few strawberries in bloom. But the biggest treat was the Spring coralroot . 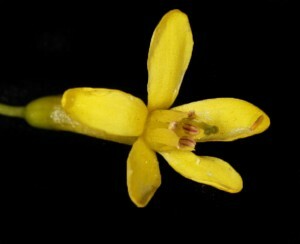 (Corallorhiza wisteriana), the earliest of the mountain orchids. We saw seven plants, two of them in bloom. 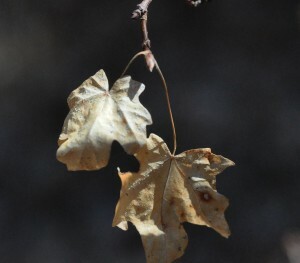 Many of the big tooth maple trees still had leaves. I have often wondered how they manage to send out new leaves with the old ones, crumpled as they are, still hanging on to the twigs. I found the answer, as you can see in this photograph. 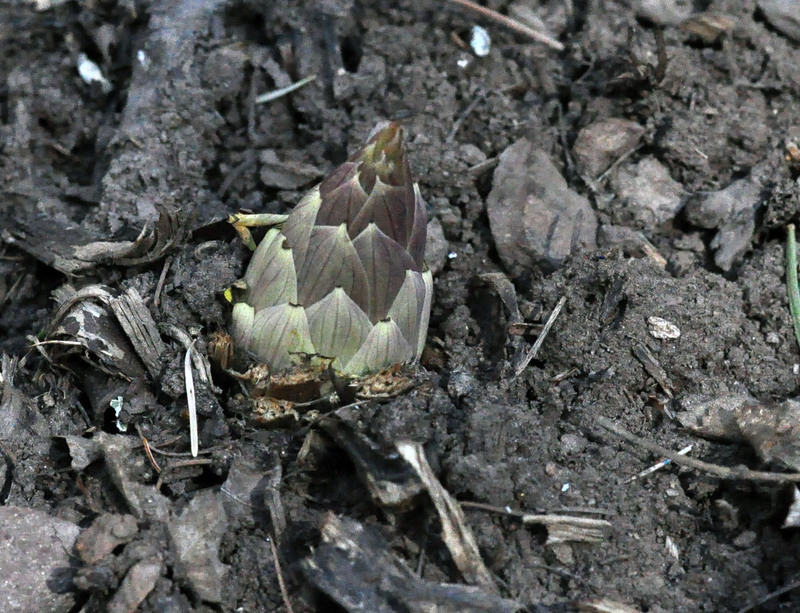 The new leaf is forming between the stalks of last summer’s leaves. 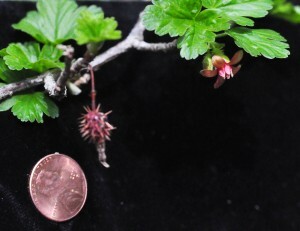 Big tooth maple with two old leaves, and a new leaf bud growing between them. The following day Dave and I hiked at the top of the mountain, eventually making our way to some huge rock formations, clearly visible from our homes in Tucson. We sat on these rocks for a long time just taking in the incredible view. 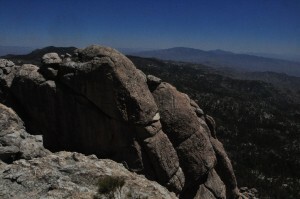 We could see other mountain ranges stretching out for over seventy miles. Last Wednesday Dave delivered my new computer. It has been over three weeks since I let go of the old one. 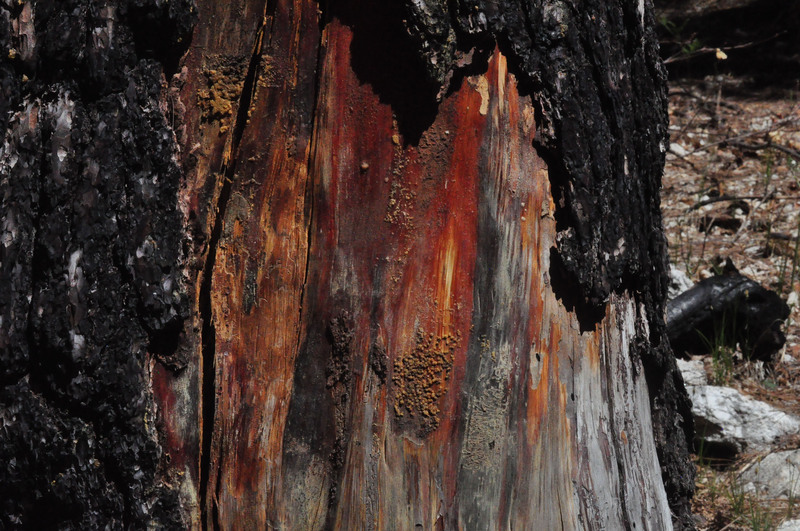 Most of that time I have spent trying to get over a heavy cough and cold, which meant that I was not getting out into nature the way I love to do. Sorry about the long gap between postings. At the end of January (Jan 29) I reported finding a fungus (Puccinia monoica) that invaded a plant, Rock-cress (Boechera perennans), changed its growth pattern and made the leaves look like flowers. Yesterday Ed and I went to visit the infected plant to see how it was doing. Though it looks a little the worse for wear, you can see in the photograph that the growth pattern is still the same and the fungus is still turning the leaves on the tip of the plant yellow so that they look like flowers (on a plant that has pink and white flowers.) The other Rock-cress plants nearby have mostly finished blooming and have gone to seed. This fungus has been at work pretending to be a yellow flower for at least ten weeks. We drove up the mountain to Turkey Run. It is still very early in the season and there are not many plants in bloom. 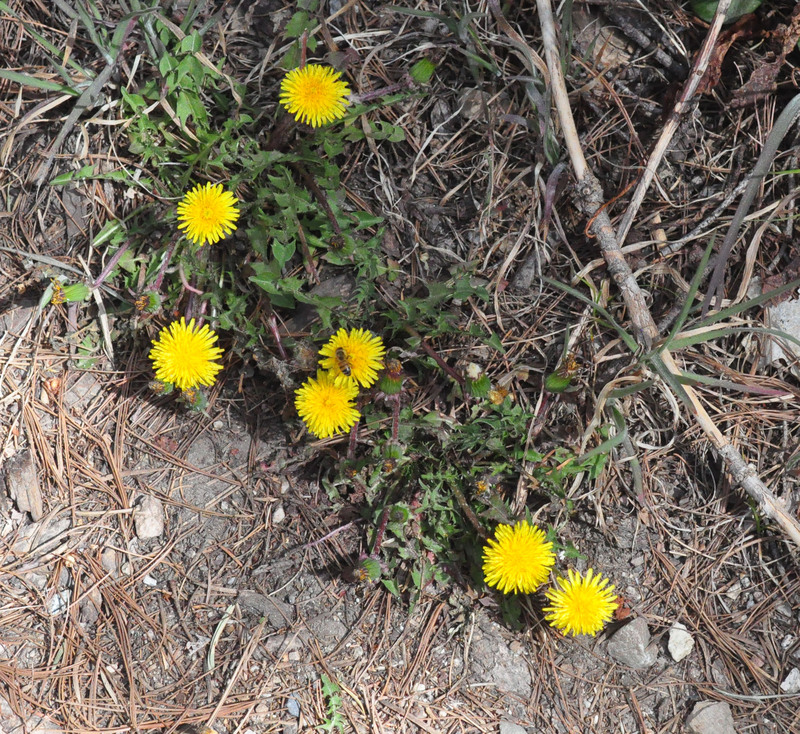 We did see a healthy crop of dandelion. 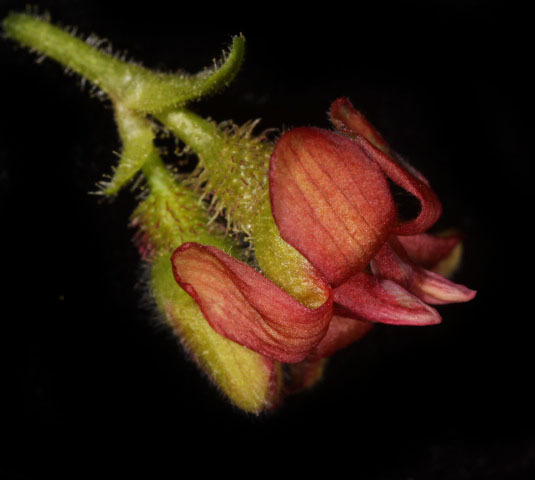 Later we found the orange gooseberry in bloom (Ribes pinetorum). 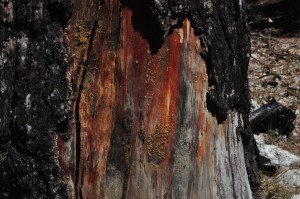 For several years I tried to photograph this plant, but was too late. Here it is, blooming in April. 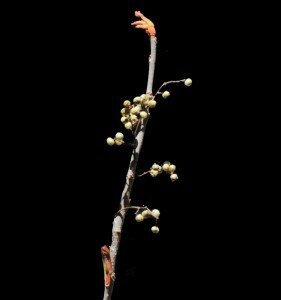 On the way down the mountain we found its cousin, Golden currant, (Ribes aureum) in full bloom. 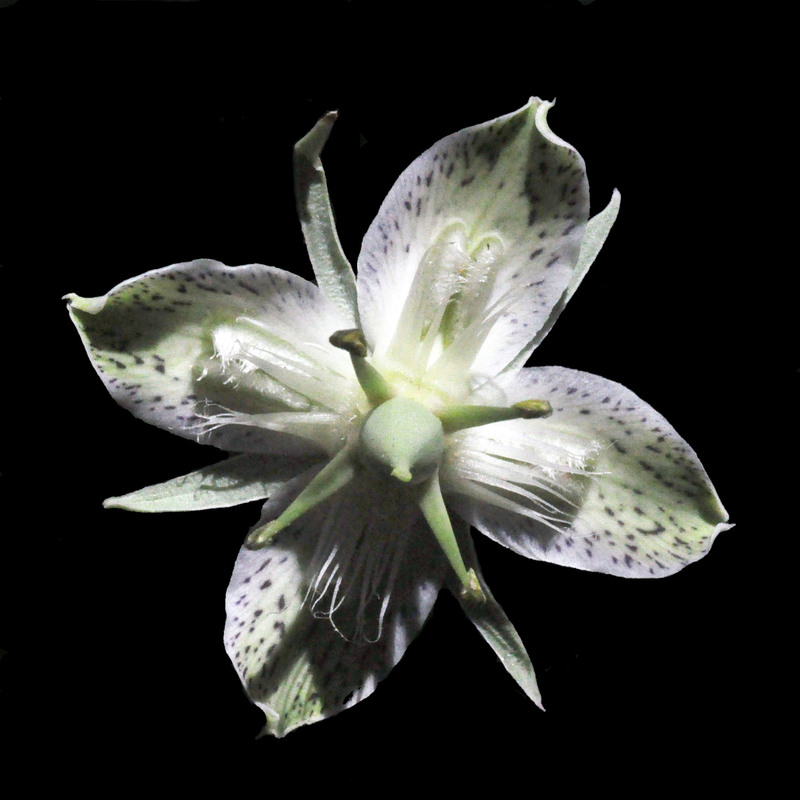 One of my favorite flowers on the mountain is the Green gentian or Deer’s ears (Swertia radiata). It produces a crop of very large floppy leaves each year for many years. 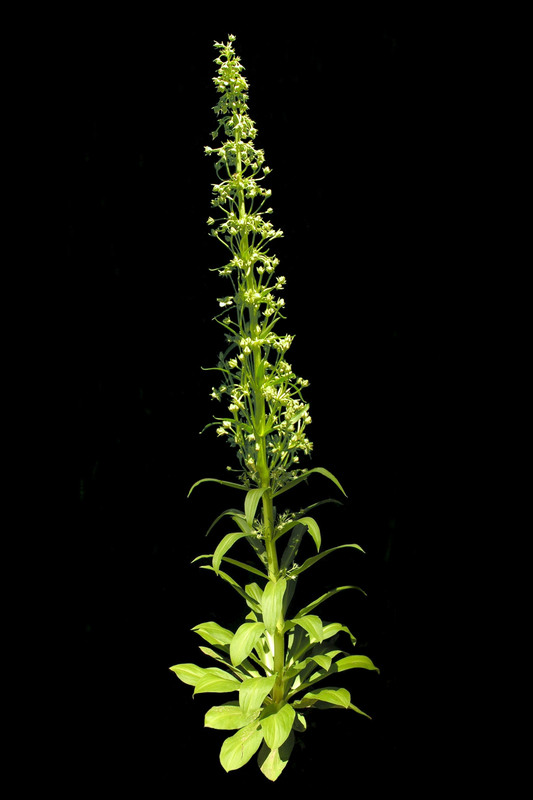 In its final year, the leaf pattern is different as it sends up a flowering stalk which can be as high as 8 feet (as in this photograph). 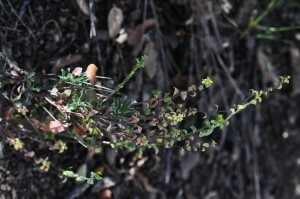 The stalk has hundreds if not thousands of pale green flowers. After it produces fruit, the plant dies. This means that it is monocarpic, meaning that it only flowers once in its life. 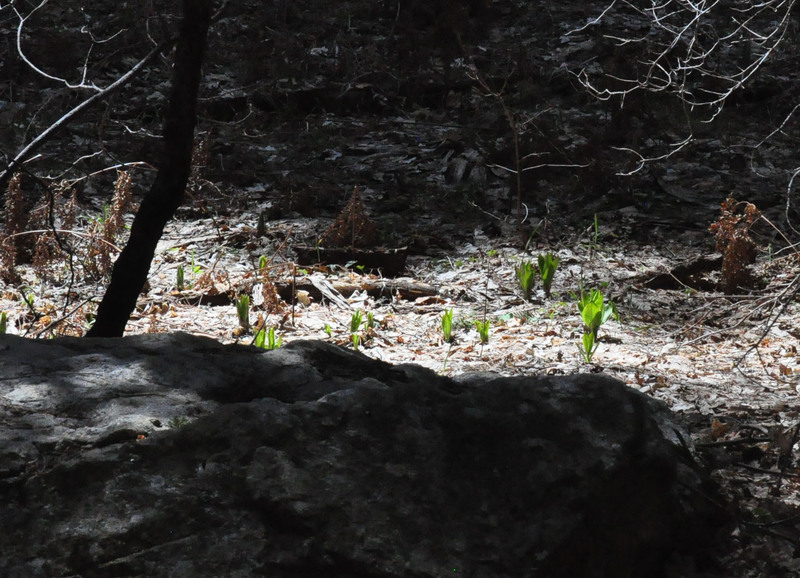 Ed and I saw some Gentian plants with last year’s foliage all dried up and in the center, new growth. Within the next few weeks we will see if any of these will send up a flowering stalk. 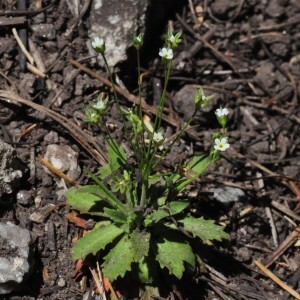 Last year there were very few that flowered, but lots of foliage. 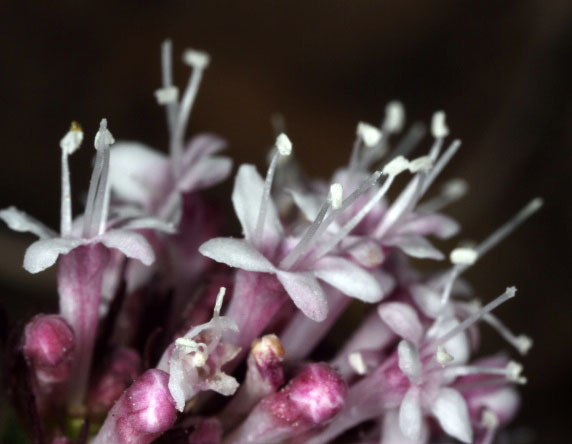 We enjoyed seeing Arizona Valerian (Valeriana arizonica). This genus is known as a medicinal plant, acting as a sedative. 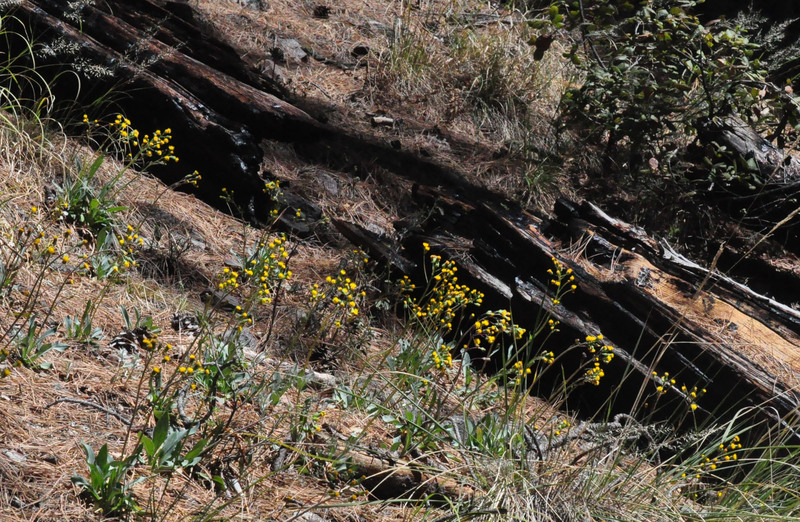 These bloom early in the Spring where in some damp places high in the mountain they carpet the forest floor. A cluster of valerian flowers with lavender tubes and white flowers. This is Frank’s son Owen Rose posting for my Dad while his new computer is being built. In the meantime, please enjoy this photo I took of Frank on the trail. Majestic, don’t you think? He will begin posting again once the computer is back up to speed.